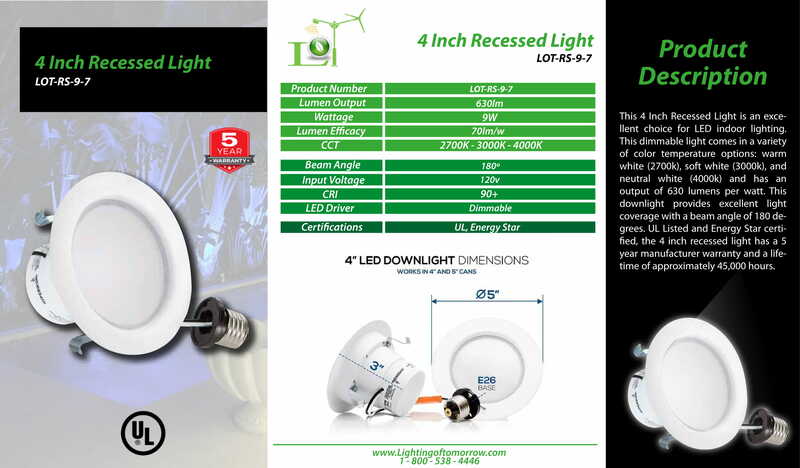 This 4 Inch Recessed Light is an excellent choice for LED indoor lighting. 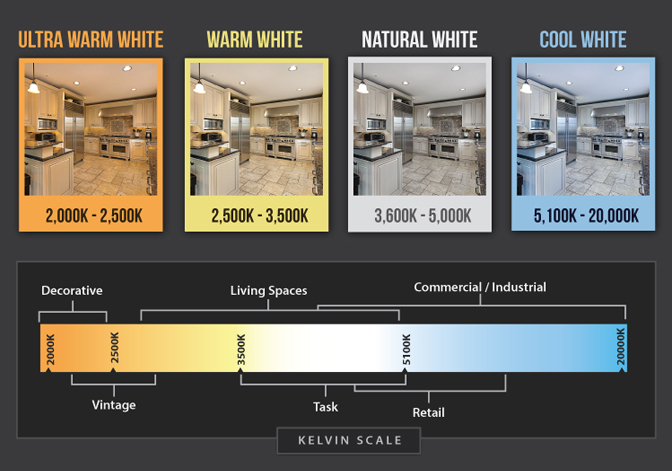 This dimmable light comes in a variety of color temperature options: warm white (2700k), soft white (3000k), and neutral white (4000k) and has an output of 630 lumens per watt. This downlight provides excellent light coverage with a beam angle of 180 degrees. UL Listed and Energy Star certifi­ed, the 4 inch recessed light has a 5 year manufacturer warranty and a lifetime of approximately 45,000 hours.